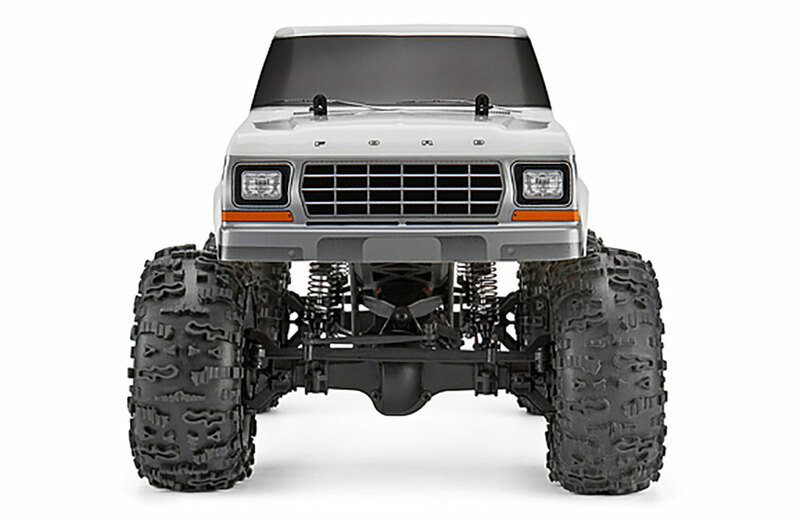 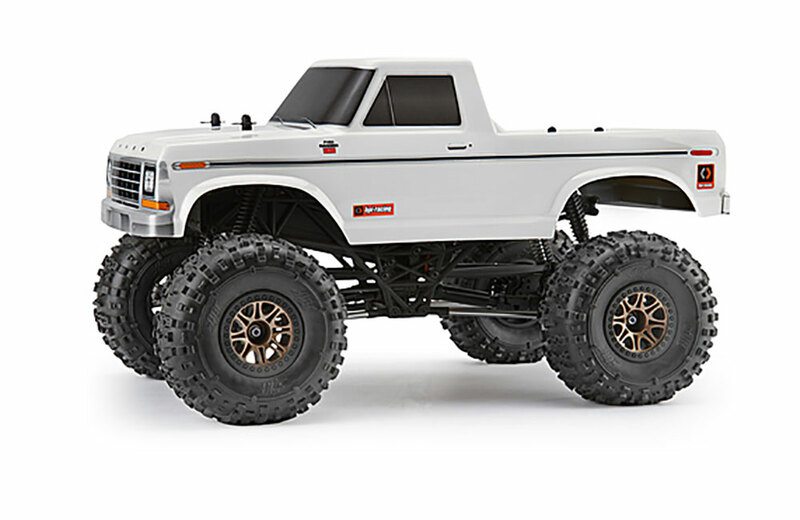 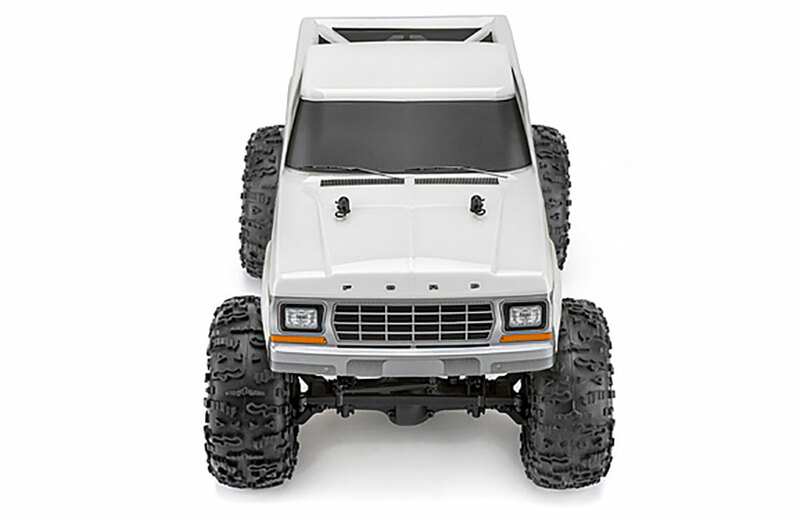 All Products > "120099 HPI Racing Crawler King 1979 Ford F150"
The rugged and durable Crawler King has a new classic body to add to its line-up: the 1979 Ford F-150! 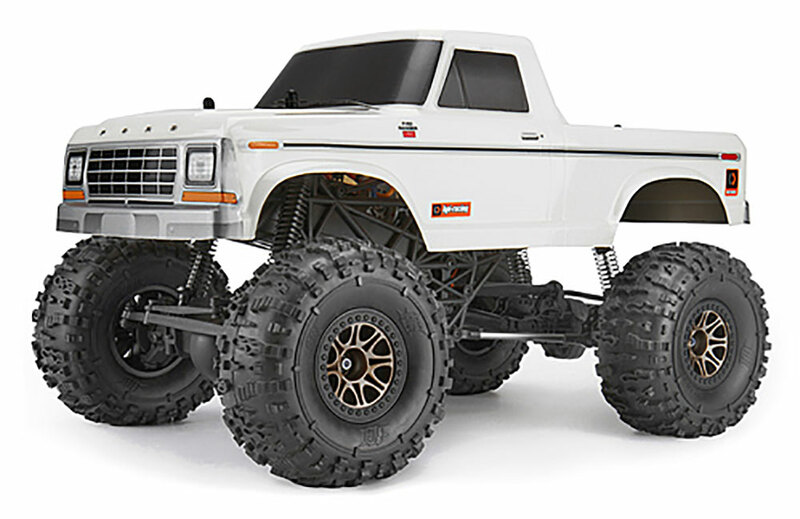 The long-time best-selling vehicle in the United States, the venerable F-150 is a great addition to the other available Crawler King trucks. 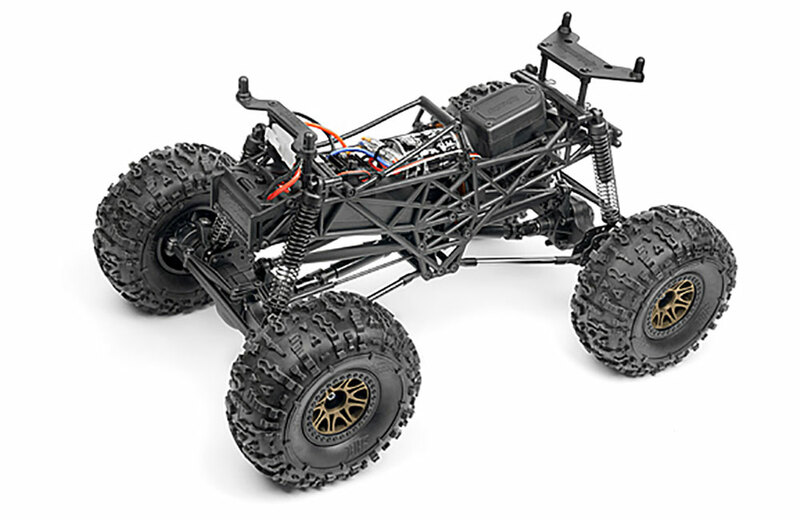 With huge 2.2" pro-level crawling tires, an extra-strong, full-time shaft 4WD drivetrain, beefy solid axles and front-mounted battery, the Crawler King is the ideal way to introduce friends and family to crawling over any kind of terrain! 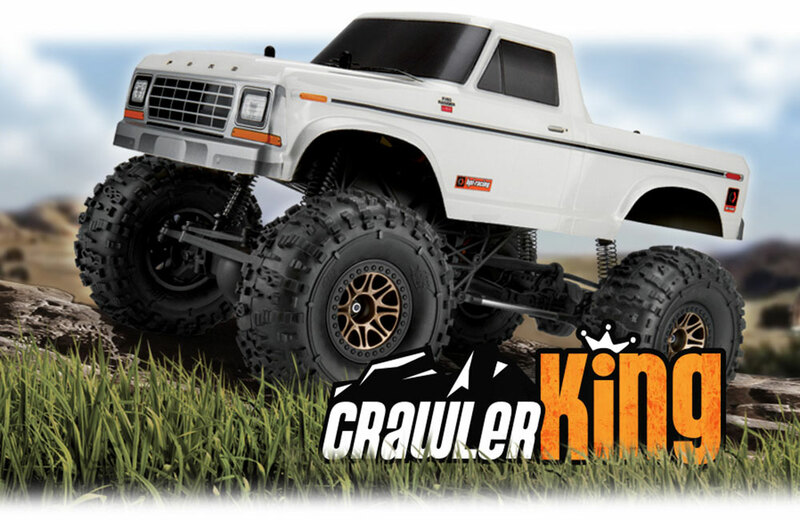 The Crawler King kit includes the fully built and painted Crawler King truck, HPI radio set with 4 AA batteries, truck battery and charger, so it's truly Ready-To-Run!